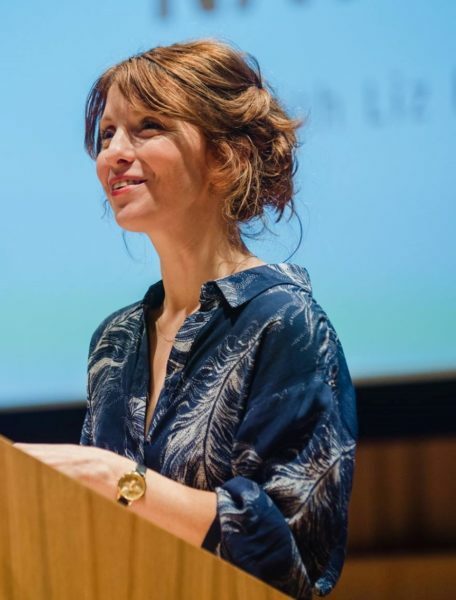 The National Poetry Competition is celebrating its 40th anniversary with a big poetry event at Kings Place, London on 20th March 2019, bringing together ten former winners of the prize. We’ve been speaking to some of the award-winning readers at that event – this week Liz Berry and Mark Pajak offer words of encouragement, and practical tips for how to send out your work. Liz Berry. Photo: Lee Allen. Liz Berry was commended in the 2011 National Poetry Competition with her poem ‘Birmingham Roller’. Do you remember the first poem you ever wrote? If so, can you tell us a bit about it? I think I wrote my first real poem when I was about eight or so. It was about the gossipy women who lived in the little street in Dudley in the Black Country where I grew up. I still love writing about women and capturing their voices and concerns so I suppose not much has changed! How did your National Poetry Competition win impact on your writing practice? Being commended with a dialect poem really gave me confidence to continue playing with dialect in my work. What words of encouragement would you give to those considering entering the National Poetry Competition this year? Oh go on and do it! Send your best, wildest, strangest poems as competitions are the perfect anonymous way to take a chance. As my mom always says: you’ll never win the lottery if you don’t buy a ticket. What top tip or tips would you give to a young poet or a poet starting out? Robert Frost spoke of poetry as “serious play” – keep that in your head and your heart when you’re making poems. Be playful, fearless, adventurous and write the poems you feel you must write. 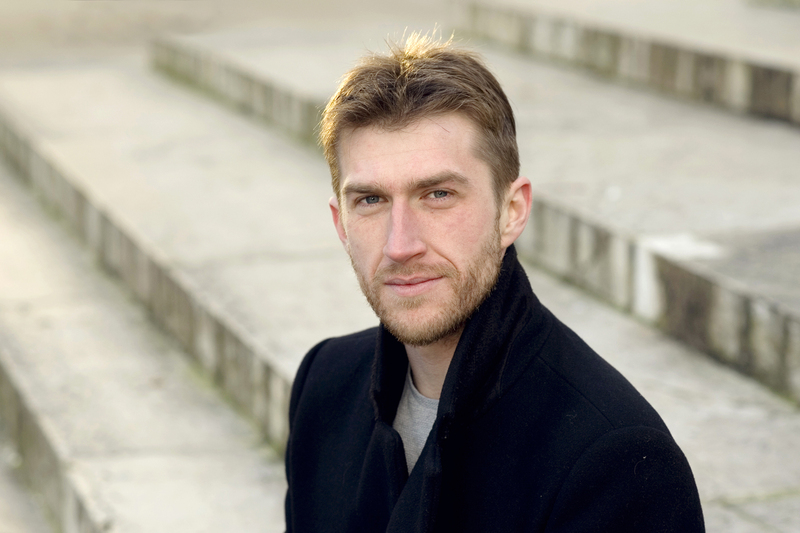 Mark Pajak was commended in the 2014 National Poetry Competition with his poem ‘Cat on the Tracks’. A filmpoem was made of his commended poem, which you can watch below. What first encouraged you to write poems? Growing up and feeling trapped on a Huyton estate, my mother would escape by reading and writing poetry. My father, a young man in Liverpool homesick for Glasgow, would memorise Burns poems whilst walking to work. The first time my father encountered my mother, it was by reading her published poetry. So the shelves in the house I grew up in had more than a few poetry collections. My mother’s reverence for books and writing was almost spiritual. Every Burns Night, my father would (after a few single malts) reel out poem after poem from heart. It was contagious. My first poem won an autumn themed poetry competition at primary school. It was the sort of poem you’d expect from a child – I described ‘dying trees’ as ‘crying leaves’. But it stays with me because (as an overweight, awkward and dyslexic nine-year-old) it was the first time I’d won anything. Other than the obvious draws (winning, publication etc. ), what benefits have you found from submitting your work to competitions or journals? Writing is work and, although writers often have their communities, they do much of their job on their own. This is difficult, as I’ve found writing comes without many of the rewards of other jobs (i.e. a regular salary) and so failing to write comes without the penalties (i.e. starvation). In fact, it could be said that the rewards and penalties reversed when I took up writing as a profession. So I needed other goals and incentives. Submission to competitions and journals gave me something to aim for and deadlines to work to. This in turn streamlined my writing process and made it more routine and professional. What would you say to those thinking of entering the National Poetry Competition this year? This works for me, although it might not work for everyone so take it with a pinch of salt. Losing a competition or getting a rejection from a magazine can feel like hitting a small but very solid wall. Winning or getting published can feel like crossing a huge finish line. Both feelings are unhelpful to writers who see poetry as a lifelong vocation. So I recommend sending work off in alternating batches. If you enter this year’s competition, wait a few weeks and then send a separate batch of poems somewhere else. Then when the results come back from this year’s entry, win or lose, you still have poems elsewhere being considered. The trick is to keep this alternation going; as soon as your poems come back from a competition or magazine, send them somewhere else. All the time you should be writing new work, which you can then swap into your batches as they come; or create a third entirely new batch and start sending that off too. The most important thing is to keep writing, keep producing new work. The best antidote to the be-all-and-end-all of a competition result or an editor’s reply is to always have a set of poems being considered somewhere. Find out more about the National Poetry Competition and get inspired to enter.